Welcome to the 2016 Parts Pro™ Vendor Showcase! 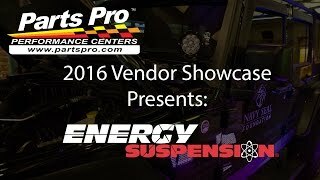 In this video series, we will take you booth by booth with our manufacturers showing their latest products In this episode, Mike Papazian goes over several of the new products for Energy Suspension. 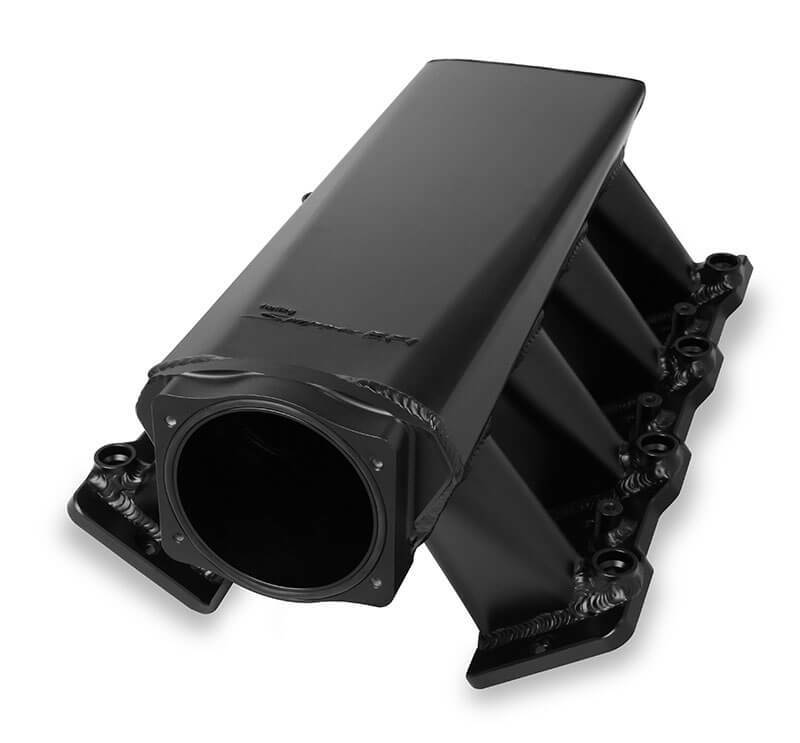 If you’re looking to build an air intake system for your custom project, the 100-025 UBI (you-build-it) air intake set from AIRAID should be your first stop. Including a variety of bends and straight pipes, the 2.5” diameter, one-piece, roto-molded tube can be cut to lengths or bends to suit your project needs. You’ll find 30-, 45-, 60-, and 90-degree bends: just measure off the size you need and cut off the segment. Variety of bends and straight sections. 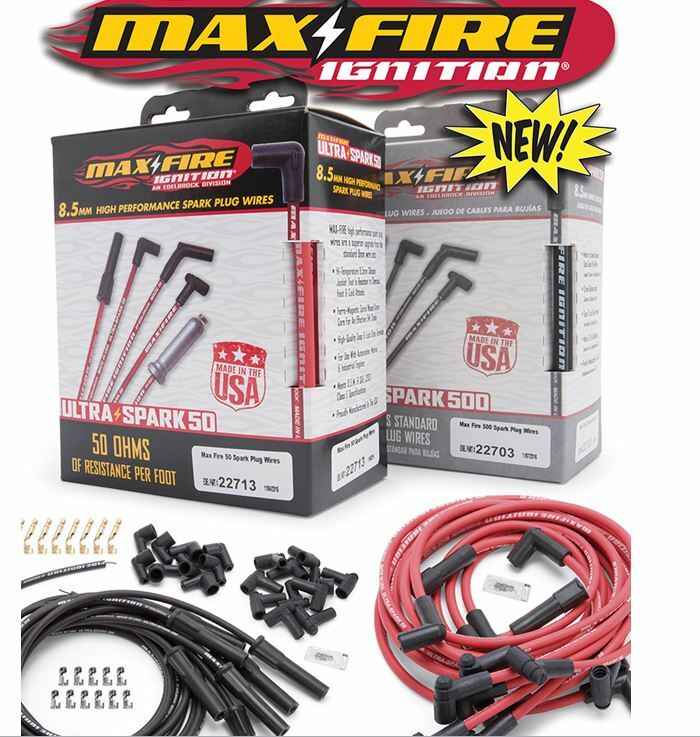 Available in two levels of performance—Ultra-Spark 50 (50 ohms resistance/foot) and Ultra-Spark 500 (500 ohms resistance/foot)—the all-new universal high-performance Max-Fire ignition wires from Edelbrock feature the same high quality as the company’s model-specific sets, but give users the ability to tailor them to fit their V8 applications. These wires have extremely high EMI/RFI suppression along with a very low resistance to help deliver the most spark possible. Their heavy-duty 8.5 mm diameter silicone jackets protect the Kevlar spiral-wound cores from heat, moisture, and chemicals. Preinstalled spark plug boots are available in straight or 90° versions. The straight-boot sets are “vari-angle,” meaning they can be bent and hold their position in tight areas to clear headers. They also include early-OEM socket style and late-style HEI plug distributor terminals. Each Edelbrock Max-Fire kit includes eight spark plug wires (of varying lengths), eleven points-style terminals, eleven HEI plug–style terminals, nine straight distributor boots, nine 90° distributor boots, one distributor-to-coil wire, dielectric grease, and installation instructions. Installation requires the use of a wire-crimping tool. Available in 50 ohm and 500 ohm resistance/foot. Heavy-duty 8.5 mm diameter silicone jackets. Spark plug boots available in straight or 90°. Early OEM socket style and late-style HEI plug distributor terminals included. The EX9 Snell SA2015–rated full-face-helmet is the composite offering from the premium end of the G-FORCE Racing Gear helmet lineup. The Strategically Reinforced Composite (SRC) shell is coated with glossy white or black paint and polished with multiple layers of clear coating for a shine like no other. 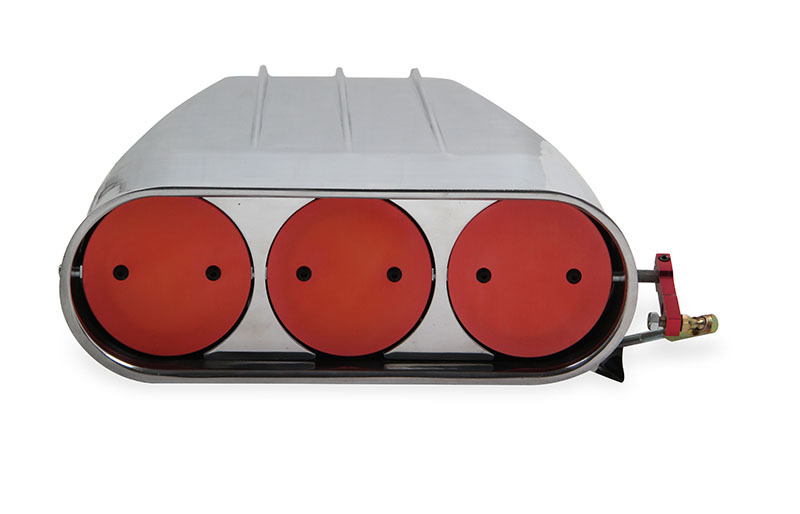 Across the chin bar and crown are the stainless grill guards of the Siphon12 Ventilation Network, eight intake ports and four rearward exhaust ports that move out heated air. A rubber gasket lines the bottom of the helmet, facilitating use with a helmet skirt, support, or restraining device. The EX9 includes an optically corrected clear view shield, with tinted shields available and changeable on the spot thanks to hex-head bolts made from aircraft-grade aluminum. 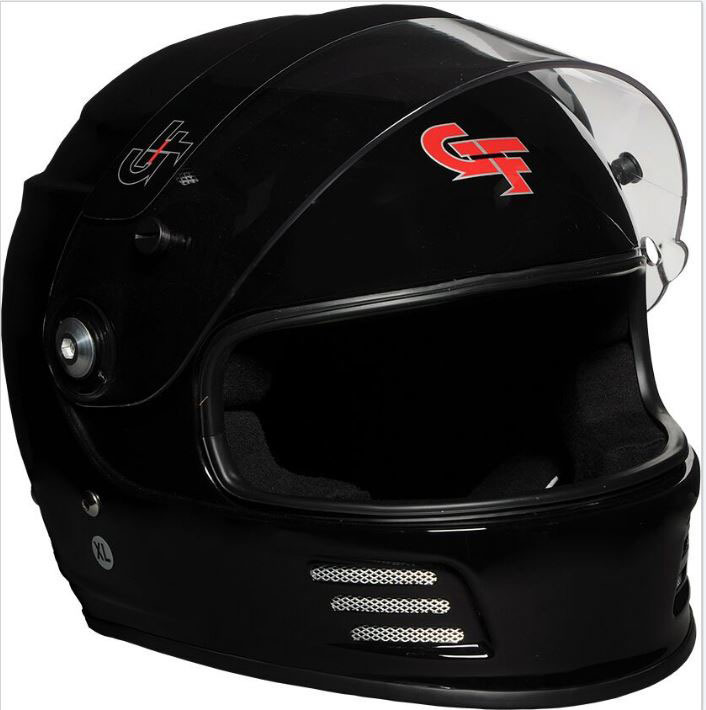 The interior of the G-FORCE Racing Gear EX9 helmet has a multiple-density, Conehead Technology impact liner able to react to various impact situations: in response to an impact, the liner compresses laterally, spreading the load to absorb the force. A padded, soft-knit, hypoallergenic, and flame-retardant liner offers unmatched comfort and fit. Glossy Strategically Reinforced Composite (SRC) shell. Optically corrected view shield (tints available). The 6550G Street Scoop from Mr. Gasket offers the competitive, nostalgic look of the Enderle-style fuel injection air scoops found on Top Fuel and Funny Car racers. 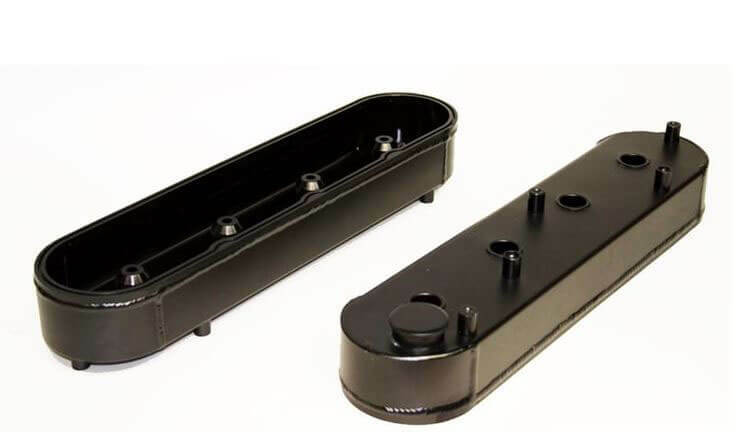 This scoop is designed to bolt onto most aftermarket tunnel ram intake manifolds and superchargers that use two inline four-barrel carbs with 5-1/8” necks and 7-3/4” to 9-1/4” center line spacing. This precision cast-aluminum air scoop is fully machined and polished to a high luster. Three large-diameter red anodized butterflies operate off the carburetor linkage. Gives a competition-ready look of fuel-injection nostalgia. Precision machined for a great fit. Beautifully polished to a high luster. Includes air cleaners and mounting hardware. 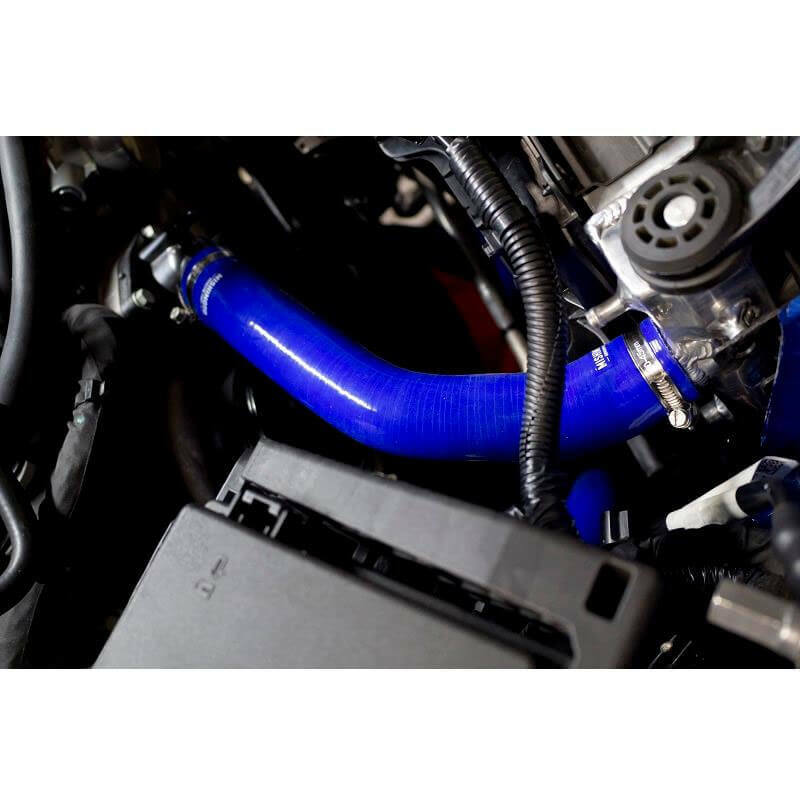 Shipping this month, this silicone radiator hose kit for 2016-and-up Chevy Camaro SS Coupe from Mishimoto is made from high-grade silicone and heat-resistant embedded fibers to endure temperatures reaching 330 degrees Fahrenheit. The kit (PN MMHOSE-CAM8-16) includes both upper and lower radiator hoses (and worm-gear clamps) and achieves many benefits for your cooling system, including efficiently reducing heat while simultaneously increasing pressure tolerance. This product is available in Black, Blue, or Red and is backed by Mishimoto’s lifetime warranty. Direct fit for the 2016 Chevrolet Camaro SS coupe. 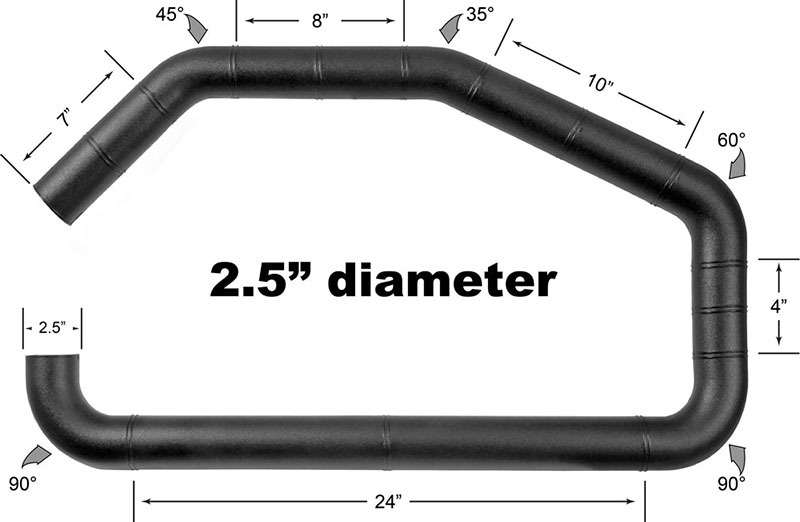 Includes both upper and lower radiator hoses. Max temperature of 330° F.
Made of high-grade silicone and heat-resistant embedded fibers. Efficiently reduces heat and increases pressure tolerance. Includes high-quality worm-gear clamps for easy installation. <p>Shipping this month, this silicone radiator hose kit for 2016-and-up Chevy Camaro SS Coupe from Mishimoto is made from high-grade silicone and heat-resistant embedded fibers to endure temperatures reaching 330 degrees Fahrenheit. 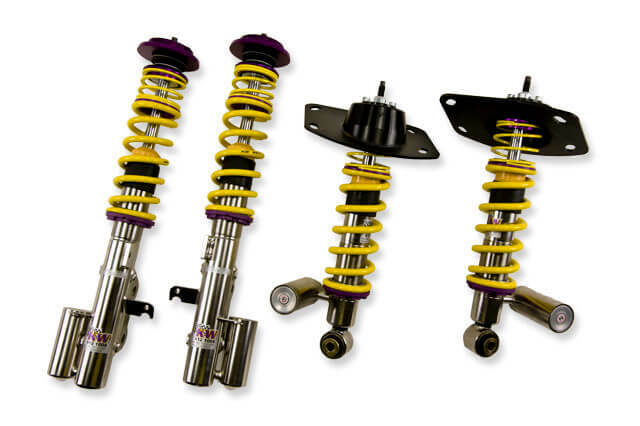 The Clubsport Kit with coilovers for 2010-and-up Chevrolet Camaro from KW Suspensions is designed for Nordschleife builds using track day tires. Using optional adjustable top mounts, 35261817 allows you to adjust suspension geometry to specific tire requirements and the intended use. Independently adjustable rebound and compression dampening technology enables individual set-up adjustments according to vehicle load, tire characteristics, and varying track conditions. KW Suspensions engineered this Clubsport Kit to meet all your needs for road and track—enhancing handling, agility, and lap times. Independently adjustable rebound and compression dampening. PQ Series fabricated aluminum valve covers from PRW feature machined cutout rails for aftermarket racing rocker arms—eliminating the need for valve cover clearance and machine work; in addition, with triple the height of stock valve covers, there is no need for valve cover risers. The pair of covers in 4034637 is perfect for street performance junkies, racers, and machining enthusiasts who want to reduce weight without sacrificing performance. Crafted from 6061-T6 aluminum alloy, these covers have successfully endured rigorous individual pressure testing and are built to withstand harsh racing elements. Thicker rails and better materials ensure rugged longevity. For 1998+ GM LS Series. Machined cutout for aftermarket-style racing rocker arms. Constructed from 6060-T6 aluminum alloy. Billet rails strengthen the valve cover for added durability. For those looking for a budget-friendly yet durable intake manifold, the new Sniper EFI sheet metal–fabricated manifold from Holley is suitable for LS, small block Chevy, and small block Ford applications. The 820042 features a 102 mm throttle body opening, 3 mm (1/8”) thick T6061 sheet aluminum construction, TIG welds, a 3/8” fuel rail kit with laser-engraved Sniper logo (for EFI applications), and runner lengths with tapered top to increase velocity and ensure more evenly distributed airflow to all eight cylinders. EFI and carbureted applications available. 3 mm T6061 sheet aluminum construction. 102 mm bore throttle body openings. EFI intakes include 3/8″ fuel rail kits. Tapered-top runner lengths for increased velocity and more evenly distributed airflow. <p>For those looking for a budget-friendly yet durable intake manifold, the new Sniper EFI sheet metal–fabricated manifold from Holley is suitable for LS, small block Chevy, and small block Ford applications.